This video highlights the importance of how we view ourselves, and not just how we view ourselves physically. Jenny Shatzle tells her own story and uses it to show the larger context of how self-respect, self-love, and self-confidence can change your life. Self-confidence is often a challenge for me, especially given that it is so often seen as over-confident or “too much” in my mind. My favorite lines: “You have to own it. You have to live it. You have to love it.” Also, you’ve gotta love her energy! An easy option is pasta, but then comes another question…what kind of pasta? Amore has tons of solutions! 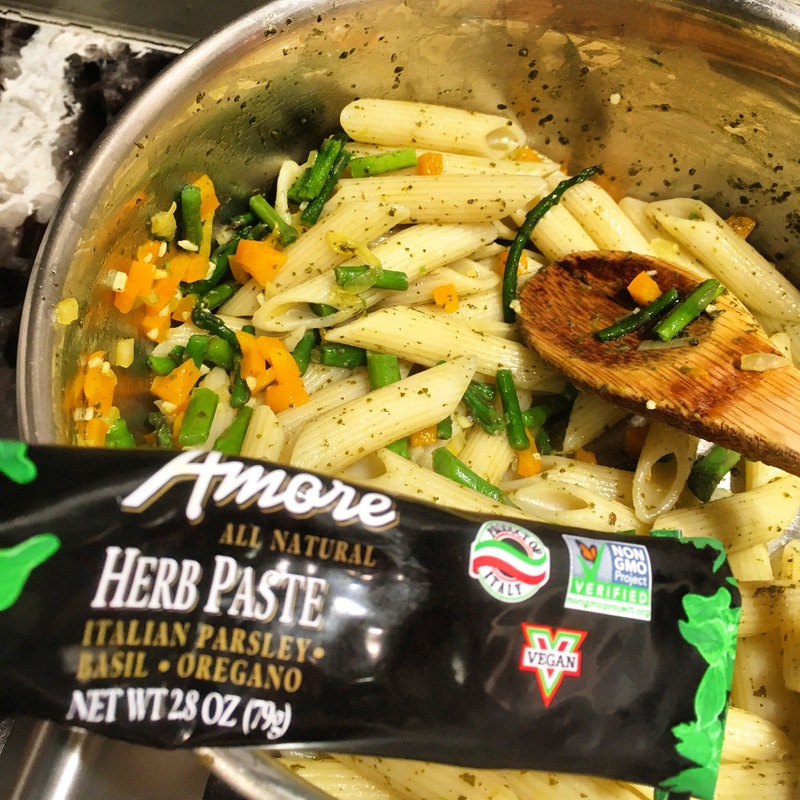 Our family loves using the Amore herb paste (a tasty mix of fresh herbs in olive oil) to toss the pasta and some freshly sautéed spring veggies! The paste is vegan, all natural, and tastes just like fresh herbs! A little goes a long way and adds the perfect light flavor to a pasta dish. A mix of whole grain pasta, herb paste to taste (2 tsp or so), and sautéed asparagus, bell peppers, and yellow summer squash is colorful, flavorful and healthy! 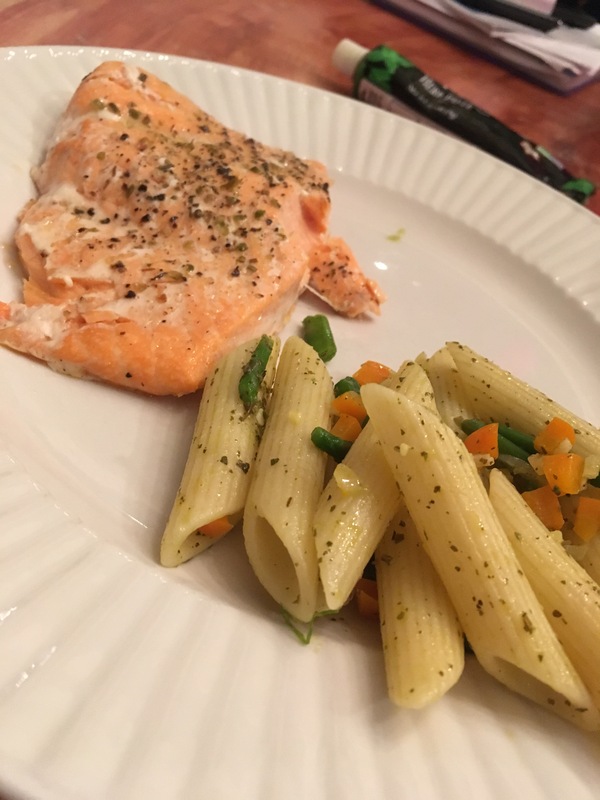 The perfect side for salmon, or a tasty light dinner on its own! What’s your favorite easy go-to dinner?